At the turn of the nineteenth and twentieth centuries, Art Nouveau spread across Europe and the United States. In the Austrian Empire the new art movement was called the Secession Style. The transition from historicism to modernism—which took place during this period as part of the struggle against academic art—chronologically coincided with a sharp increase in the national consciousness of nations and national minorities in Europe. Accordingly, it is not surprising that in places such as the multiethnic Austro-Hungarian Empire, national styles of the new movement appeared which incorporated historical or folkloric elements. 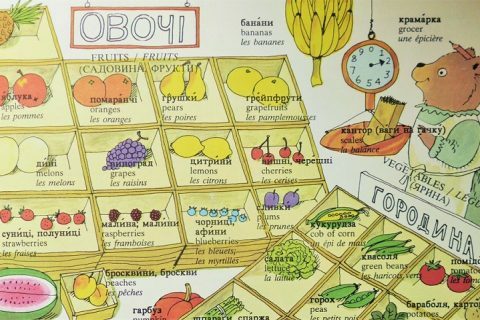 In Galicia, the centers of the national style were Lviv and Kolomyja in eastern Galicia, and Krakow and Zakopane in western Galicia—each which developed a rather distinct vision of the style. 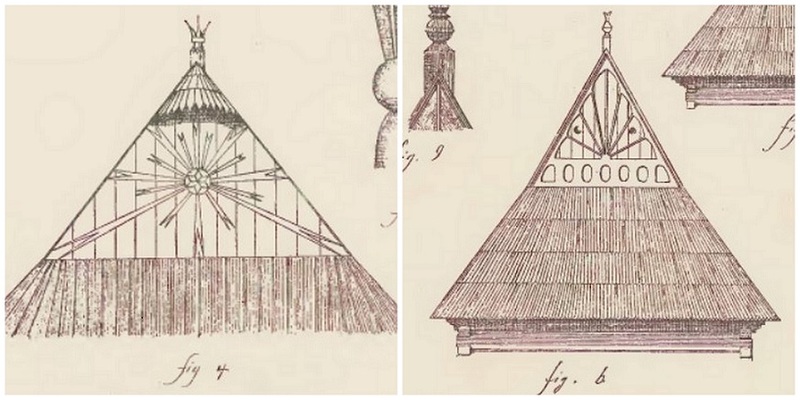 In these places, the folk art of the Carpathian Mountains was the main source of inspiration. Zakopane is the main city in the Podhale region, also known as the “Polish highlands,” Poland’s southernmost region located in the foothills of the Tatra range of the Carpathian mountains. Podhale is home to the Gorals, an ethnographic group that shares features with other Carpathian Slavic highlander groups, including Hutsuls, Lemkos, and Boykos. In the middle of the nineteenth century, as Zakopane developed into a popular ski resort, a construction boom followed to meet the housing and accommodation needs. 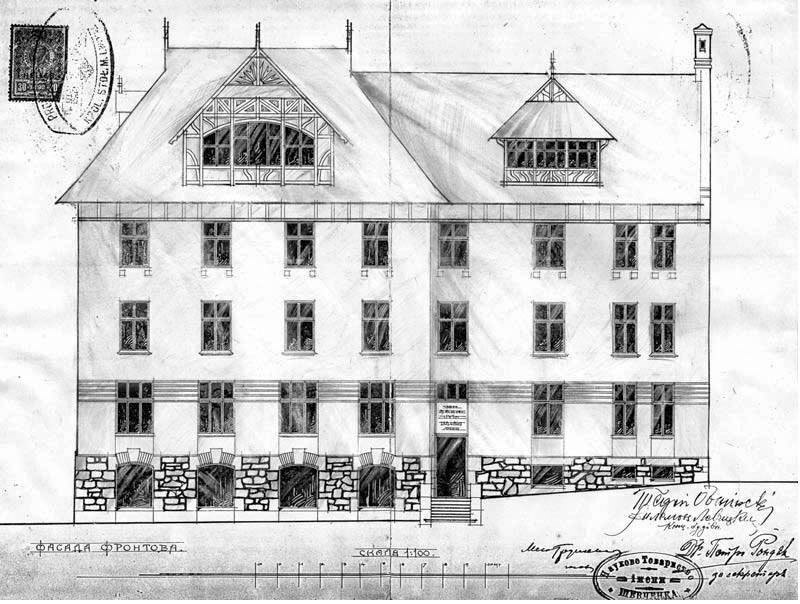 The new buildings that appeared resembled Swiss chalets and French resorts—styles foreign to the region. 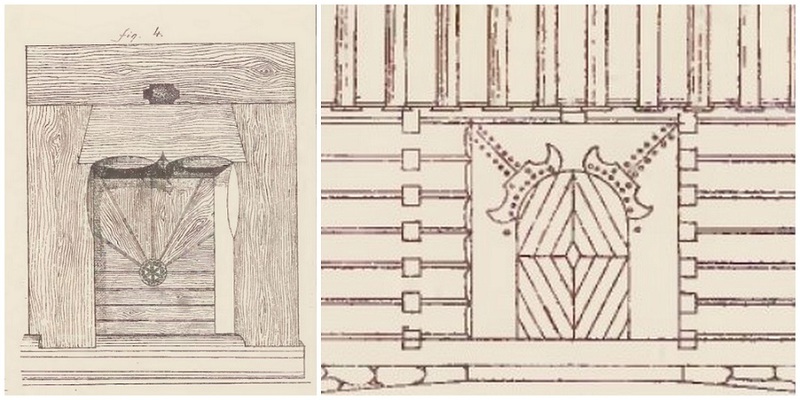 Rather than look to foreign influences for his work, architect Stanislaw Witkiewicz found inspiration in the local Podhale-style of architecture and folk art. 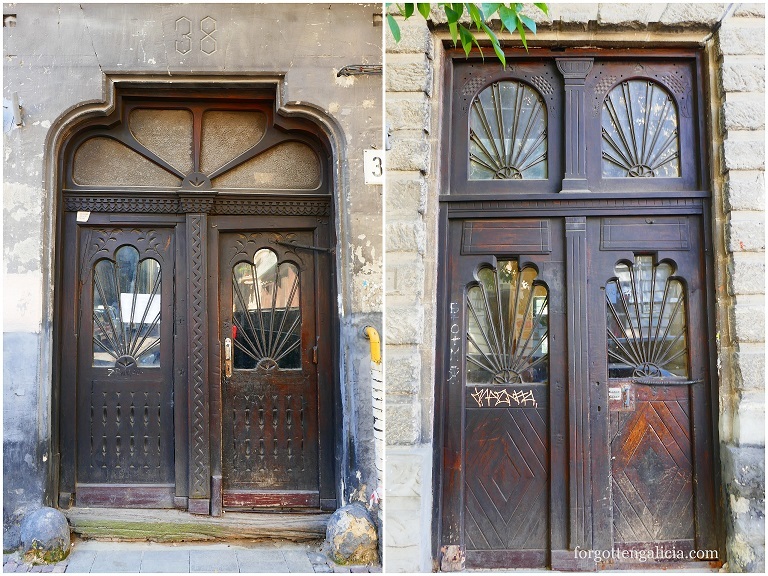 By combining wooden framing, reinforced stone structures, and traditional folk motifs with elements of Art Nouveau, he created a new style that become known as the Zakopane Style. The emergence of the Zakopane Style coincided with a growing interest among intellectuals in the folk culture of Podhale. 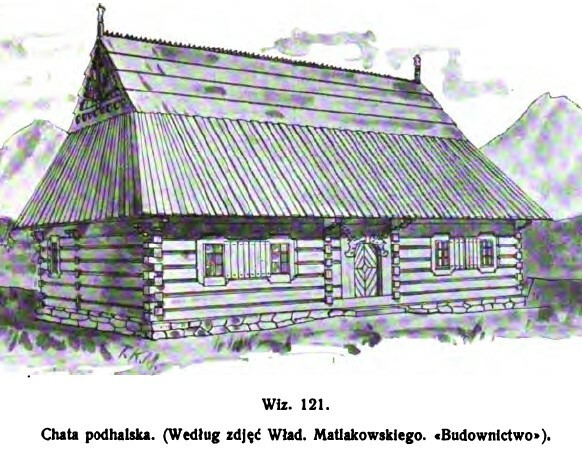 It was around this time that the first ethnographic collections were created and that Władysław Matlakowski, a surgeon, ethnographer, and researcher, published his excellent works on the architecture and decorative art of the Podhale highlanders, in particular: Budownictwo ludowe na podhalu (Folk Buildings in Podhale) in 1892 and Zdobienie i sprzęt ludu polskiego na Podhalu (Decoration and Domestic Utensils of the Polish People in Podhale) in 1901. The radiant sun on the gables was a prominent, well-recognizable feature, unique to the region; however, the six-point compass rosette, also known as the six petal rosette or “gwiazda” in Polish—traditionally used as a protection symbol—was particularly widespread among the Gorals (as well as the Hutsuls and Boykos). 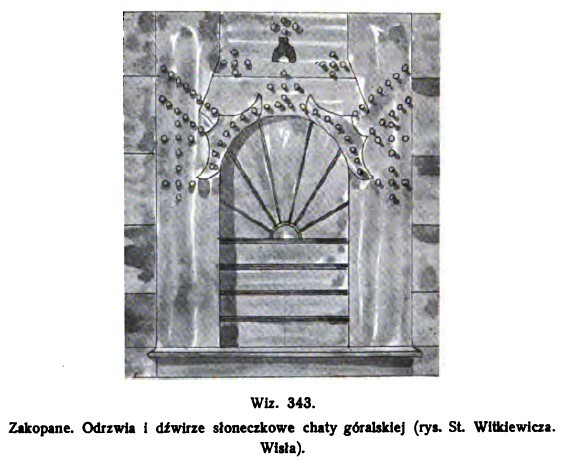 In Zdobienie i sprzęt ludu polskiego na Podhalu Władysław Matlakowski writes that the “gwiazda” is “the most common and the most characteristic ornament in Podhale: it is found everywhere, but mostly on every crossbeam.” Indeed, throughout his books the gwiazda appears in illustrations of such items as spoon racks, chairs, distaffs, and lintels, but most notably on crossbeams. 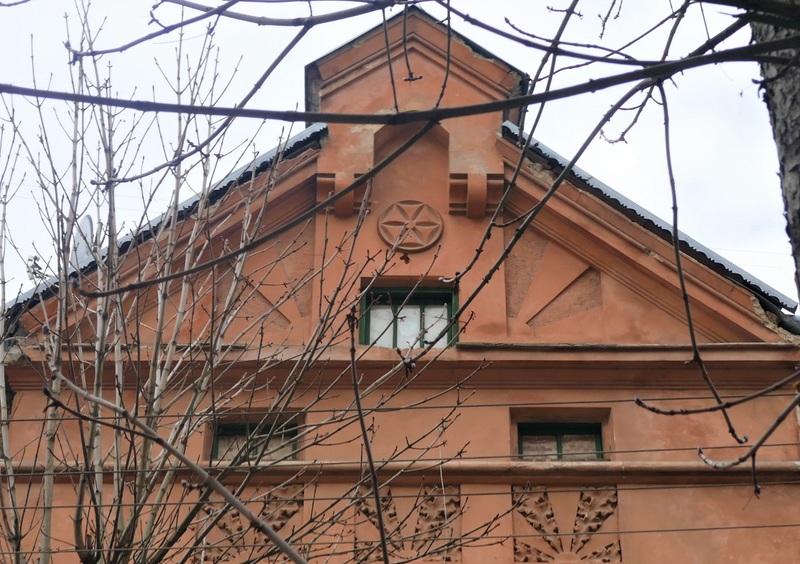 Accordingly, the rosette became a popular symbol in both the architecture and interior decor of Zakopane Style villas, and was prominently featured on ceiling beams. 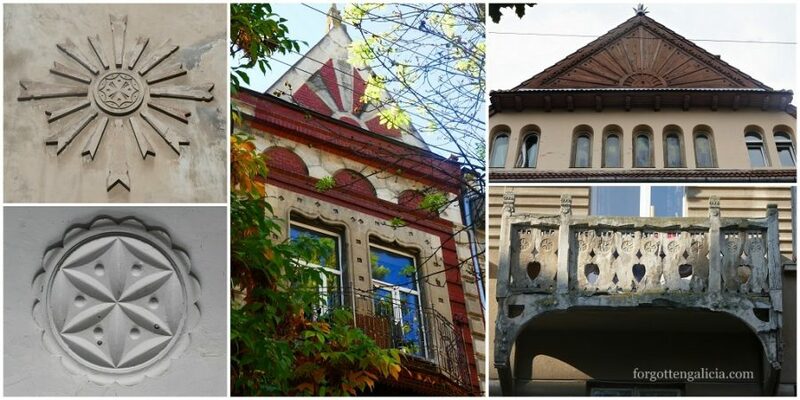 On the other side of Galicia, in Lviv, architects and artists were trying to create their own national style. 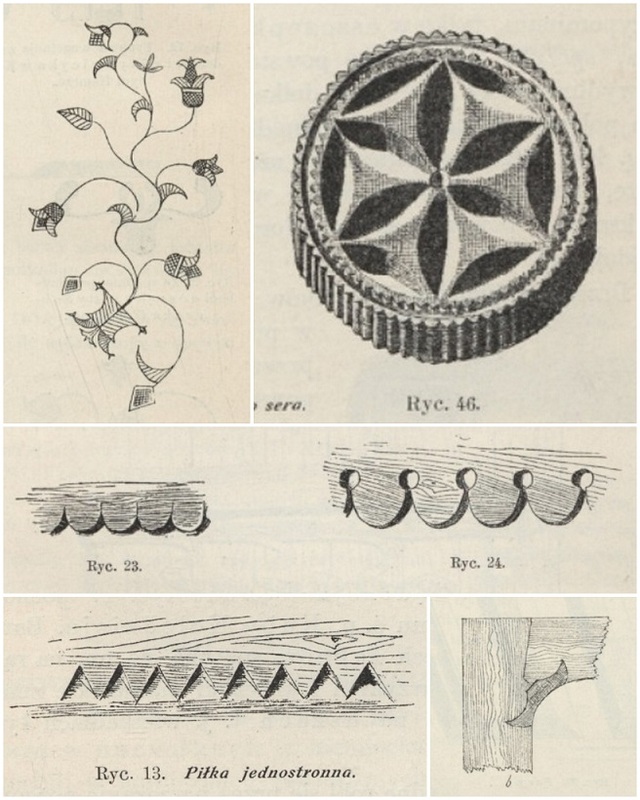 They too looked to the folk art of the Carpathians for inspiration but it came from two directions: Polish architects attempted to develop the popular Zakopane Style, while the nationally-conscious Ukrainian architects tried to infuse Secession with Hutsul forms, taking the folk art of the Kolomyia region as an example. 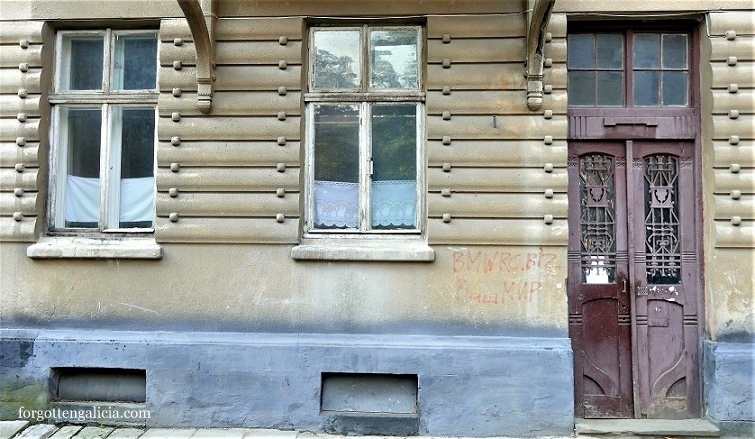 However, “while the ‘Zakopane style’ was not without its exponents in Lemberg [Lviv], there was here less enthusiasm for the vernacular architecture of the Podhale region than for the traditional decorative forms—sartorial rather than architectural—associated with its eastern Galician counterpart,” from “Redefining Polishness.” Ultimately, what resulted was a sort of hybrid of the two, a Carpathian or Eastern Galician Style. 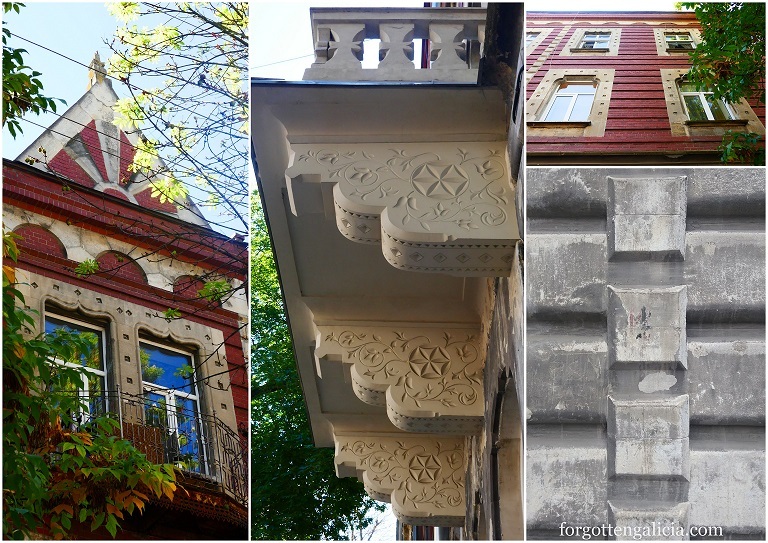 In 1890, Lviv architect Julian Zachariewicz attempted to refine the aesthetics of a Carpathian style. 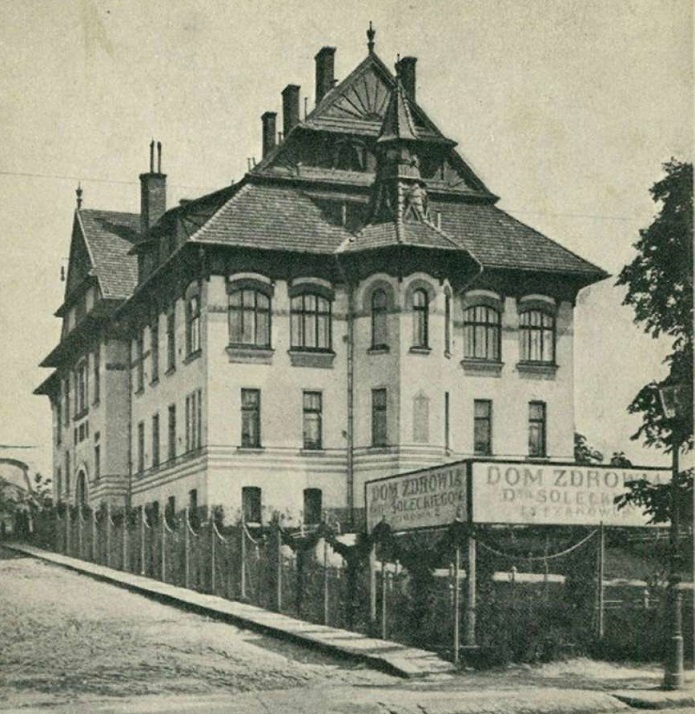 Later, Professor of Architecture at Lviv Polytechnic Edgar Kováts in the book The Zakopane Method (1899) offered his own interpretation of a new Eastern Galician style, which received harsh criticism from advocates of the “pure” Zakopane Style. 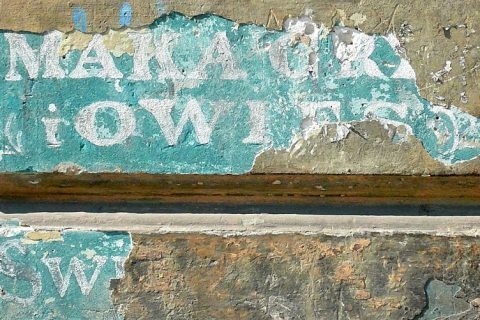 Lviv artists and art critics, such as Kazimierz Mokłowski, supported the idea of creating a distinctive, binational Lviv style that would differ from the Krakow’s Zakopane Style. 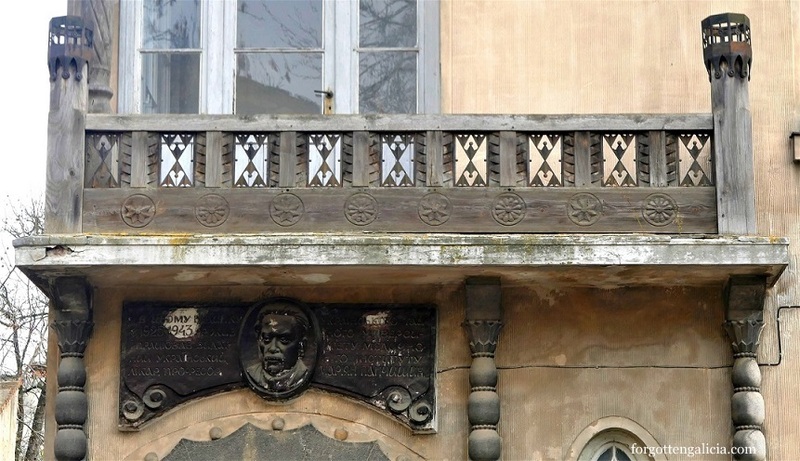 In 1900-1903 Kazimierz Mokłowski worked on a theory of a Polish-Ukrainian style in Lviv. In a series of public lectures and articles he sought to rethink the principles of the wooden architecture and applied art of the peoples of Galicia. In his book Folk Art in Poland (1903) Mokłowski demonstrated that the folk art of the Gorals of the Tatras and the Ukrainians of the Eastern Carpathians have many points of convergence and came to the conclusion that instead of Witkiewicz’s purely local Zakopane Style, a pan-Galician style based on the folk culture of the Carpathians should be created. 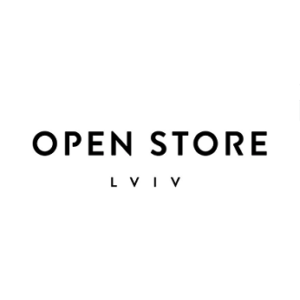 Leading architects from Ivan Levynsky’s firm Tadeusz Obmiński and Oleksandr Lushpynskyi held similar positions to Mokłowski. They, like Mokłowski, prepared the foundation for their practical activities by carefully studying vernacular wooden architecture. 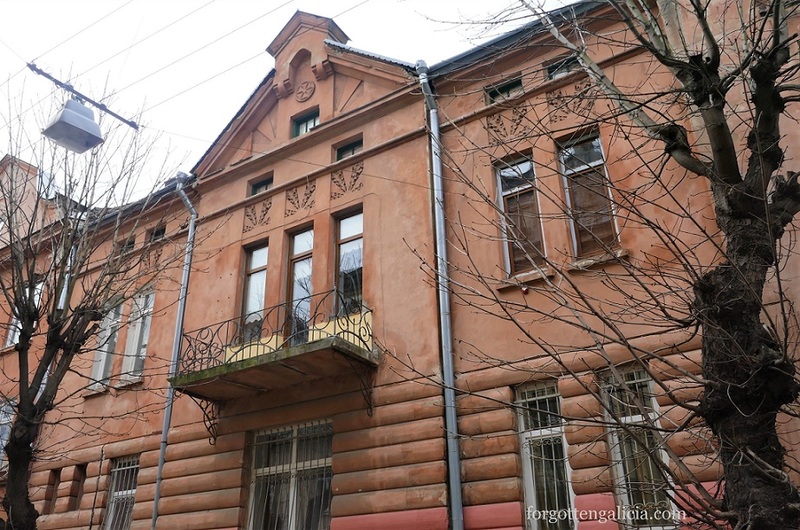 The above-mentioned Lviv architects, as well as a few others, went on to build structures according to this new national style. 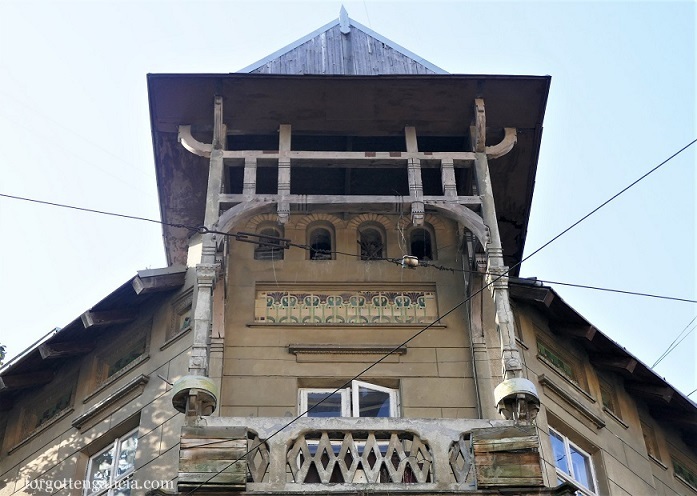 Inspired by Carpathian folk architecture and decorative art from both Podhale and the Hutsul/Boyko region, these buildings cannot easily be divided into the Zakopane Style and the Hutsul Secession. That said, some clearly have a stronger influence over the other. 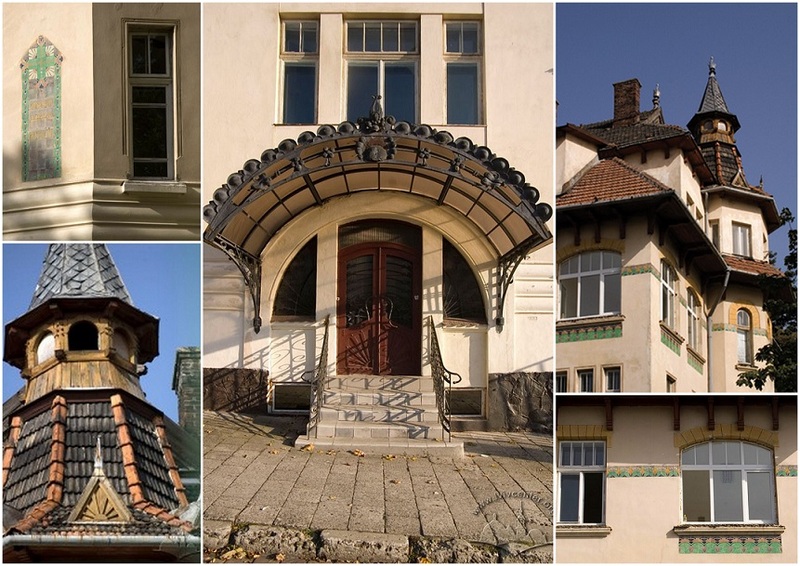 Examples of the Hutsul Secession (some of which also include features of the Zakopane Style) can be seen in this article (some are also listed here), while here I’ve included buildings that have a strong Zakopane influence. 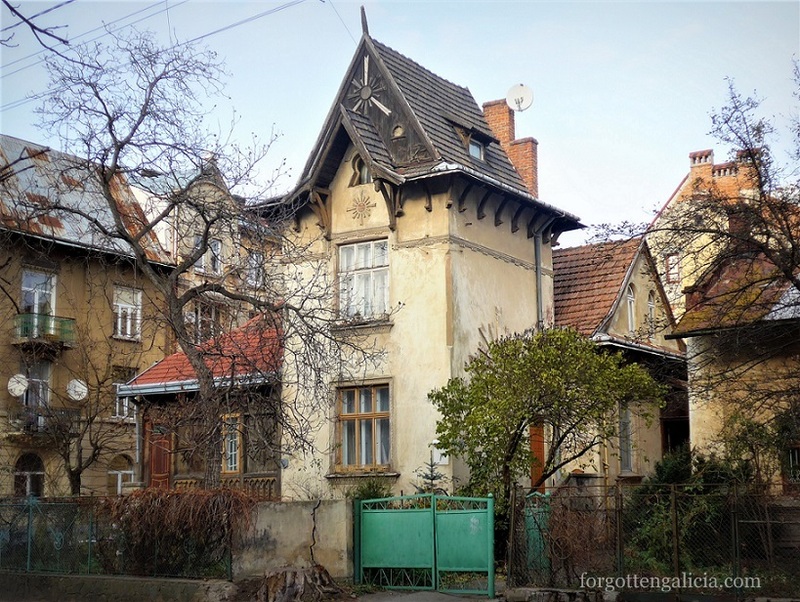 It is also important to note that when the Zakopane Style spread to major urban areas such as Krakow, Warsaw, and Lviv, it was adapted to brick construction, with only certain details made from wood. As such, the timber cottage outlays, together with studs and lattice-work, were transformed into masonry. 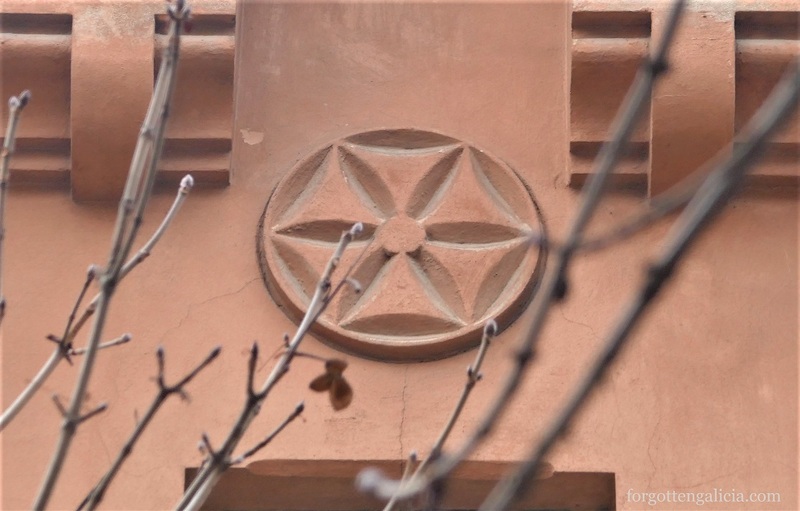 Furthermore, popular motifs—such as the six petal rosette, the radiant sun, and flowers—traditionally carved in wood in Zakopane architecture were now applied to stone and appeared in non-traditional places. 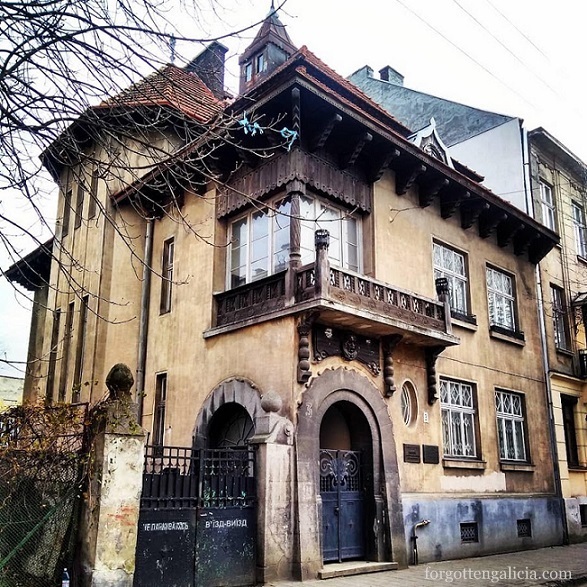 One of Lviv’s best examples of Zakopane Style. Here wooden architecture is literally transmitted in stone. On the facade of building 40, the rustication on the ground floor imitates the stone foundations of a folk cottage, while the entire facade of building 38 mimics a cottage’s timber walls together with concrete locking joints typical of log construction. The small gable atop of 38 features the radiant sun stylized in brick and cement. 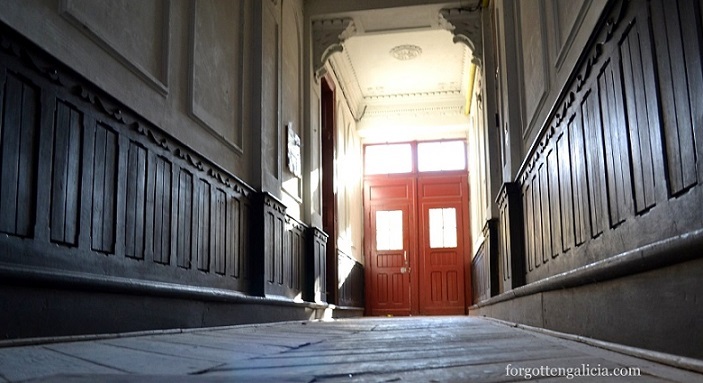 The contour of the windows and door frames were cast from concrete so as to emulate wood. 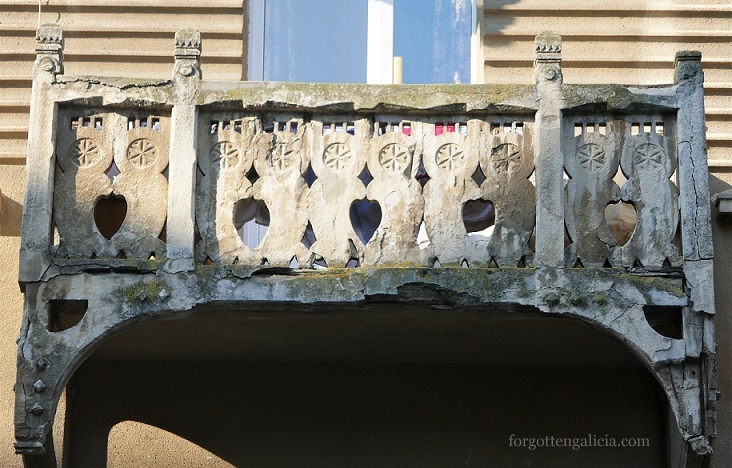 The balconies’ corbels, also made from concrete, display folk motifs, in particular six petal rosettes and flowers. 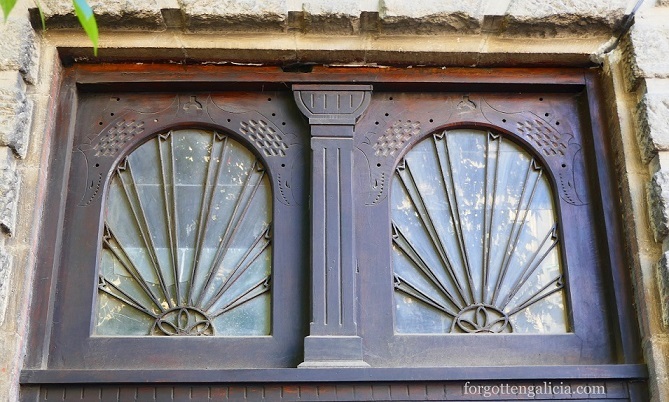 The wooden doors are also decorated with folk motif carvings, while the ironwork on the doors’ windows are stylized into radiant suns. Inside number 38 the hallway leading to the courtyard is paved with wood and with even the panels are upholstered with carved wood. The hallway ceiling is supported by brackets imitating folk wood sculpture. 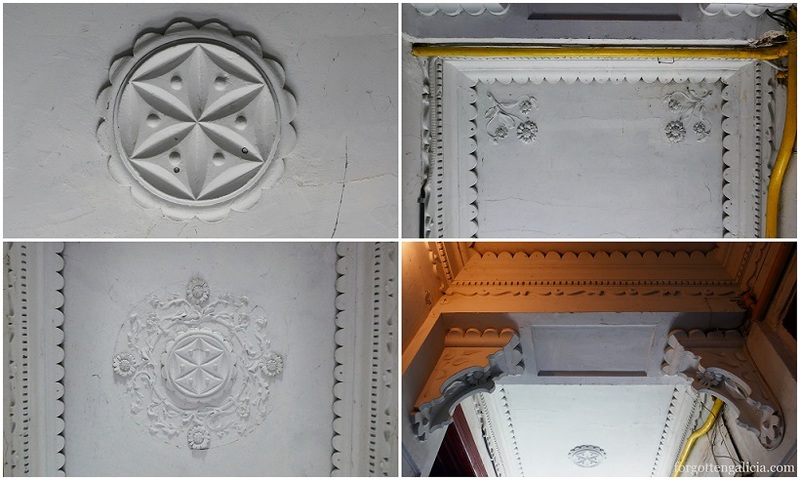 The ceiling has folk-themed moulding, and the middle of both sections features a large six petal rosette, a symbol that was once carved onto the middle of crossbeams to protect the home from thunder strikes. 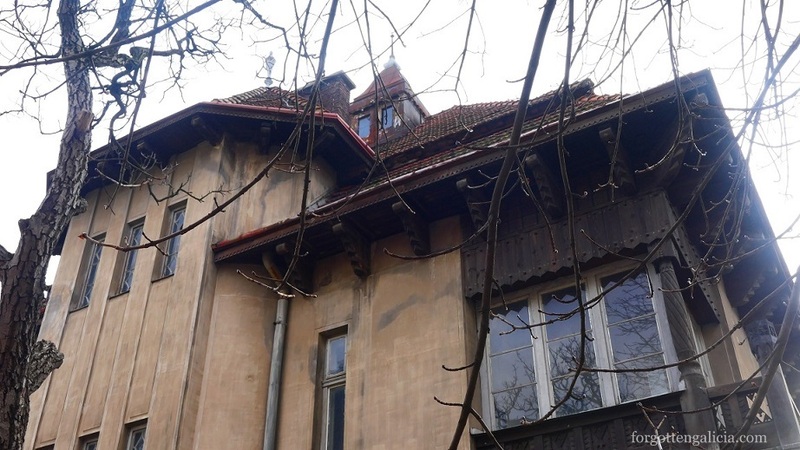 The villa was built for the director of the municipal theater Ludwik Heller. 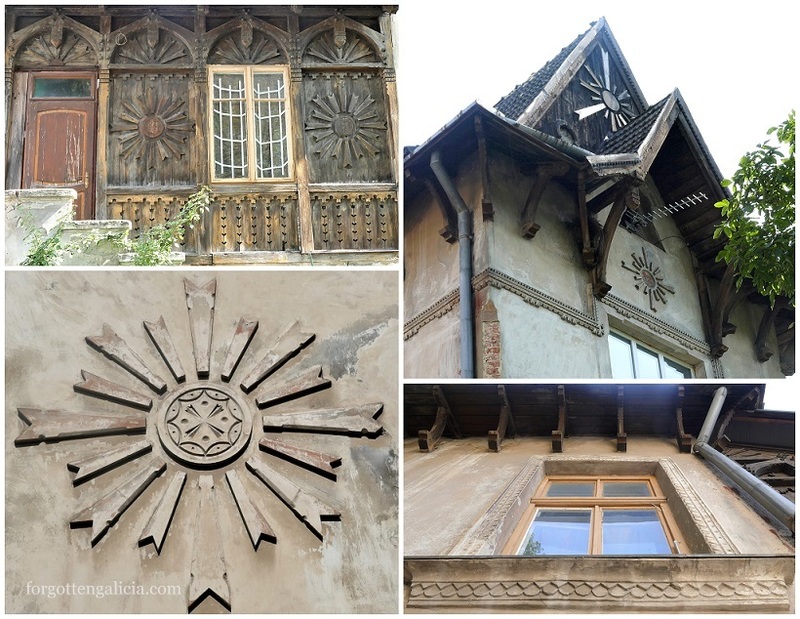 The leading decorative element is the sun motif, which was customarily carved onto the wooden gables of the Zakopane cottages. 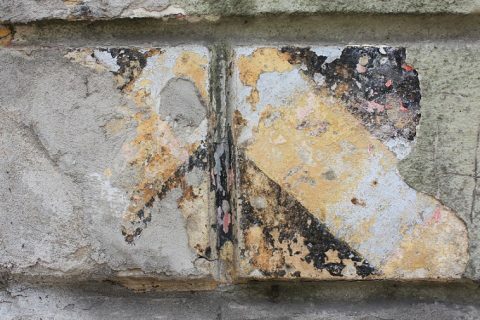 In the villa the sun, augmented in scale, is copied onto the plaster, while on the loft and the veranda it is molded in wood, and on the door lattice it is forged in metal, thanks to which the villa is classified as an example of the Zakopane Style. 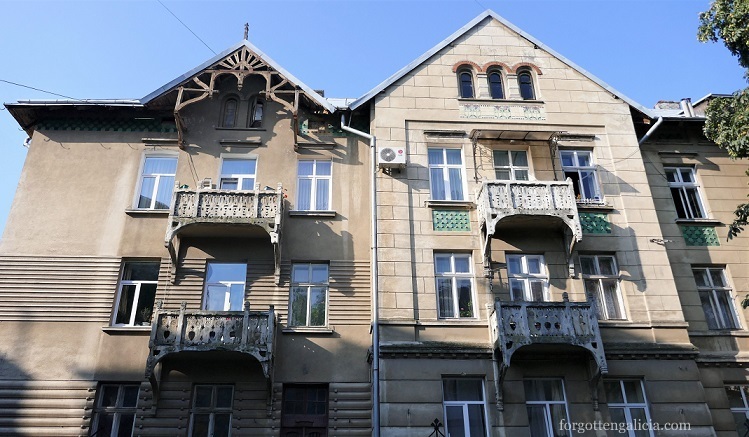 This two-floor tenement house was built for Józef Skwarczyński and has both Hutsul and Zakopane influences, as well as Secession ornamentation. The facade mimics the details of log construction and the east side even includes stone notches that resemble the primitive jointing of typical Zakopane wood construction techniques. Decoratively carved wood beams support the roof over the gables and create a design reminiscent of the radiant sun. 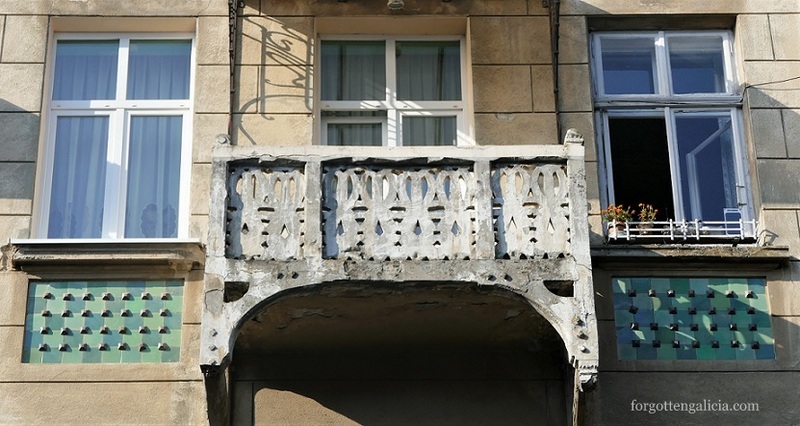 The balconies’ concrete balustrades emulate wood and feature carvings of the six petal rosette. A strong Secession influence is also found in the ornamentation, in particular of the door and the design on the painted tiles. 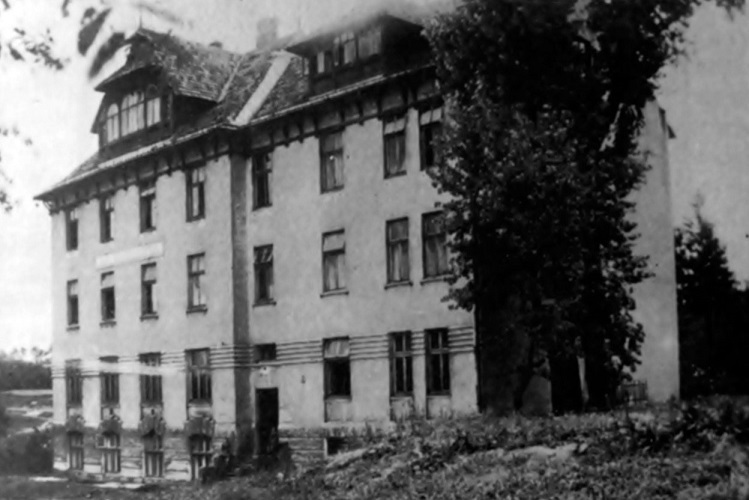 The clinic was constructed as a sanatorium of the Red Cross; until the First World War it belonged to doctor Kazimierz Solecki. 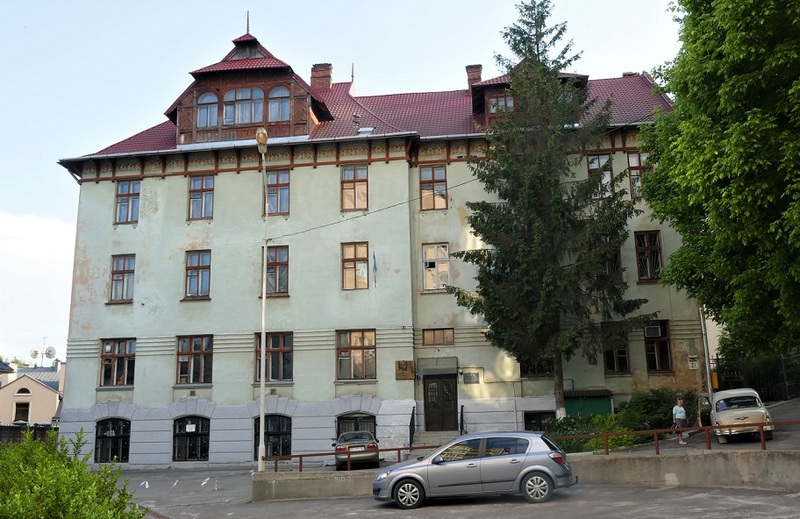 The building was constructed in the Art Nouveau style with elements of the Zakopane style and Hutsul motifs. 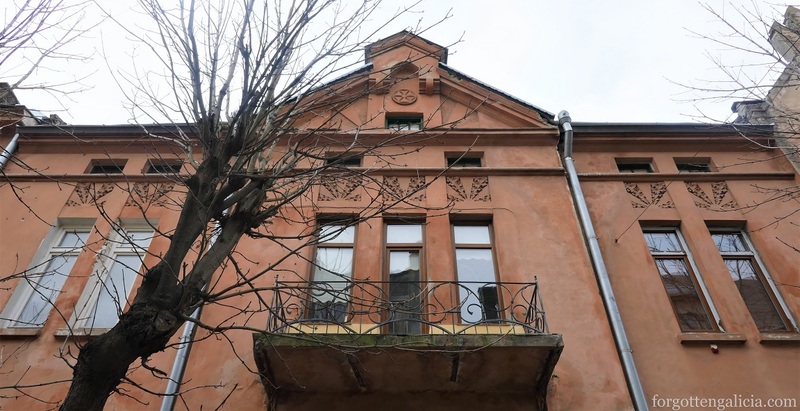 The main façade has a protruding central avant-corps crowned with a side wall roof with a sun motif characteristic of the Zakopane style and carved corbels. The façades are adorned with ceramic panels with Art Nouveau ornamentation and a stylized rusticated belt separating the socle section of the building riveted with natural stone. 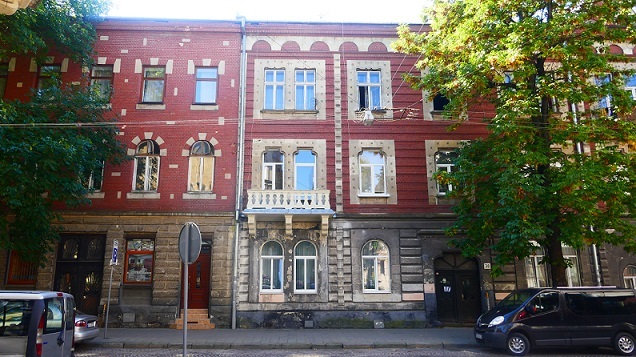 Dormitory of the Academic House 21 Kotsiubynskoho St. 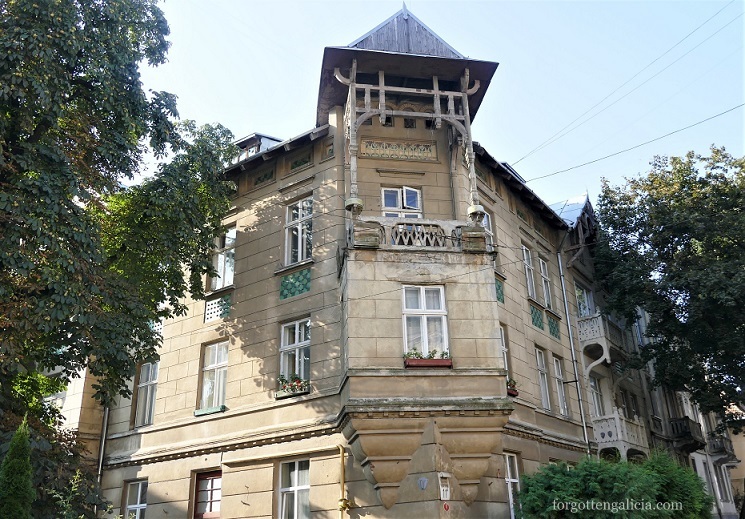 Built in Secession style featuring Hutsul ornamentation as well as elements of the Zakopane style. 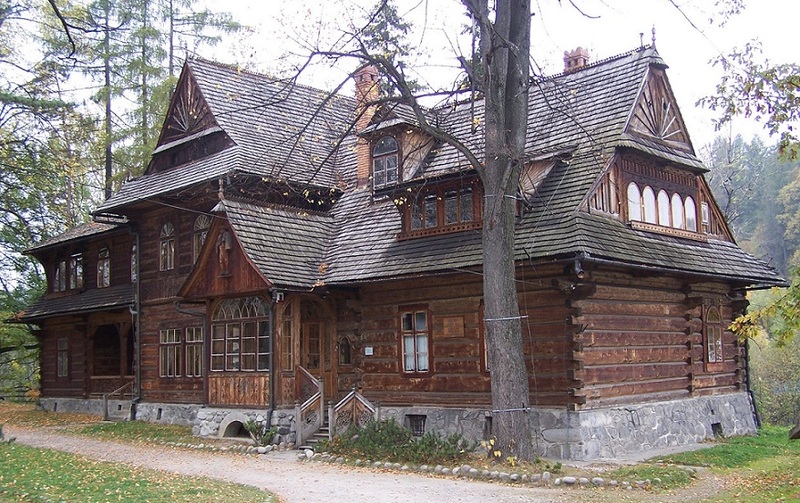 Adaptations of the wooden construction of the Carpathian highlanders as well as Hutsul applied art can be found in this building. 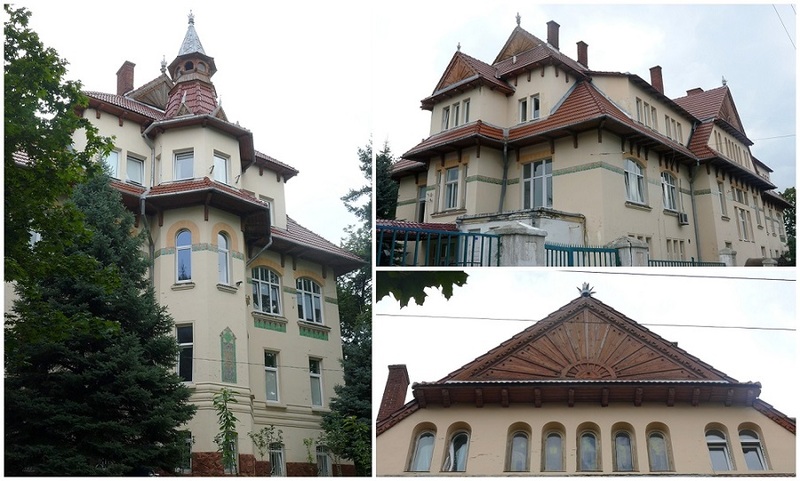 The majolica friezes with Hutsul ornamentation, which serve as the main accent of the building, are located under the eaves as well as on two tiles under each window of the upper floor. 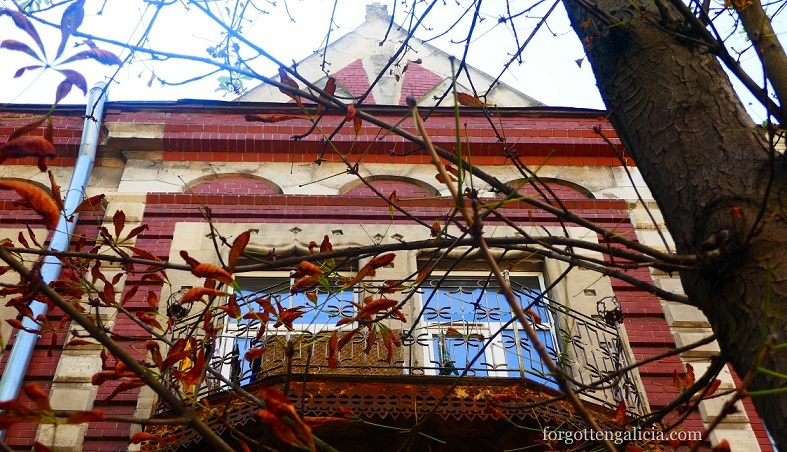 The riveting on the window frames is reminiscent of the Zakopane aesthetics. 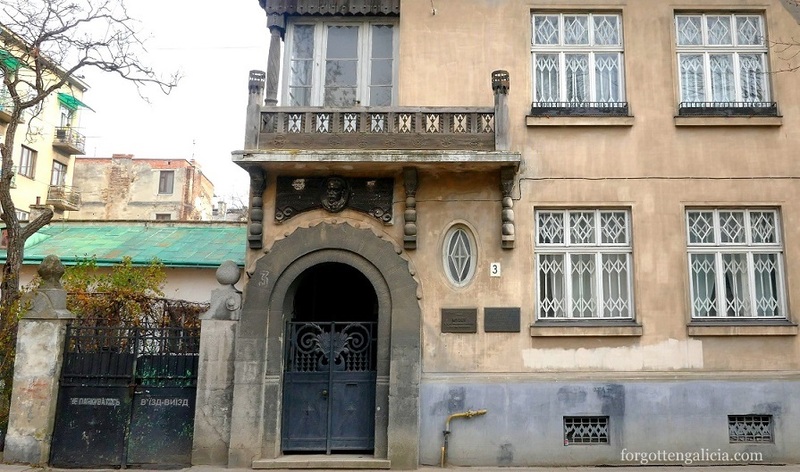 Residence at 29 Vyshenskoho St.
A two-story residence located on a street built in 1909-12 as an elite district. 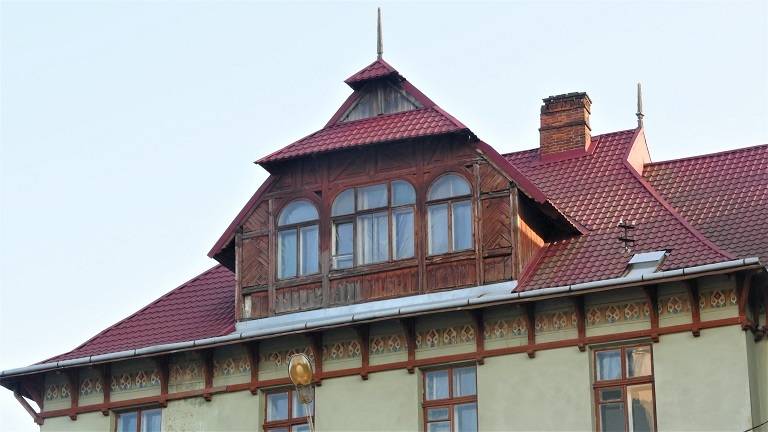 The first floor facade mimics timber construction, while the gable features sun rays typical of Zakopane Style as well as a six petal rosette. Radiant suns are also found above the second-floor windows. Designed as a residence and office for Marian Panchyshyn, a professor of medicine and an enthusiast of the Ukrainian Romanticism. A late version of Art Nouveau National Style with Art Deco aesthetics and elements of Carpathian folk architecture and the Zakopane Style. 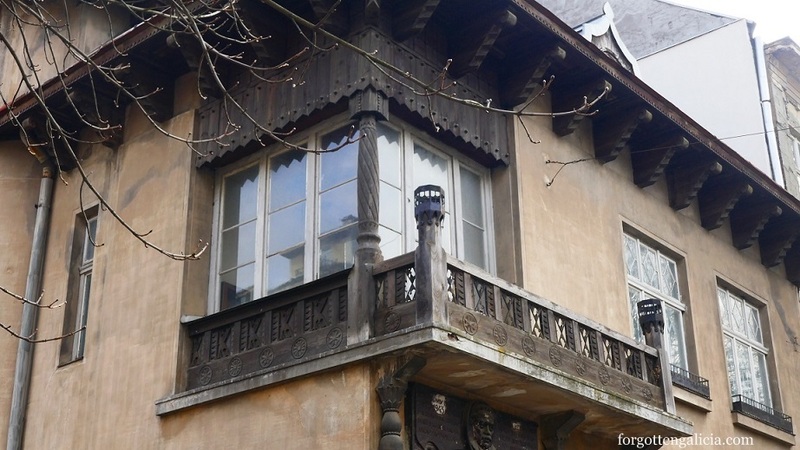 The wooden carvings on the second floor corner balcony resemble solar symbols, once widely used in Carpathian folk architecture, while the wrought iron insertions are executed in the Art Deco style. The roof is enforced by wooden corbels with carvings characteristic of the Zakopane Style.